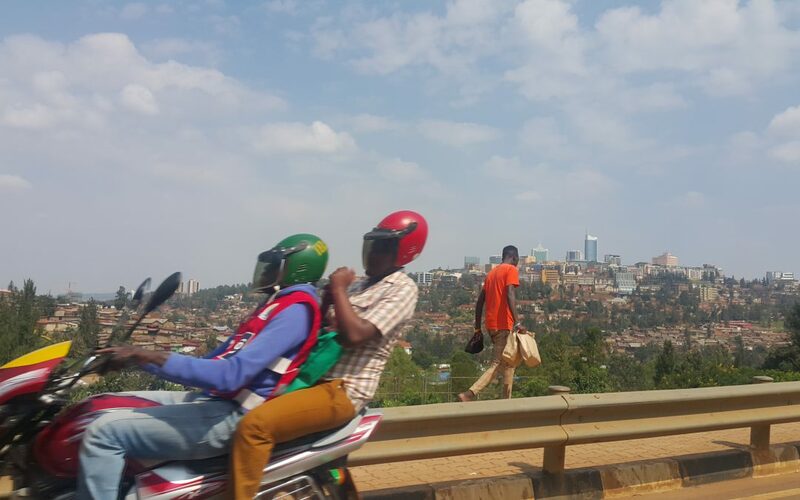 (The image is a view of Kigali city centre in the background and Kigali’s most popular public transport system in the foregound). The future African City is a Livable City. It is a city that is equitable, beautiful functional – it is a city that has diverse opportunities, offering people a chance at improving their lives and livelihoods. The future African city is a Lovable City. It is a city that resonates with many people, over many years – it is accommodating and embraces diversity, choice and change. It is a city that is embedded in context in terms of culture and climate, bearing in mind that none of these factors are constant and require agile and dynamic decision-making processes. Design as a discipline is crucial in achieving this future African city. When speaking about the future African city, we tend to have visions resembling Wakanda: high-rise, glass and steel structures, interspersed with African inspired structures, materials, colours, textures and markets. And we are not far off from the reality in many African cities, even if partially realized or mere plans. This seems to very much be the aspiration of many cities in emerging African economies. Khartoum’s Sunut development at the meeting point of the white and blue Niles has been called “Dubai on the Nile”. It has also been called Sudan’s Manhattan. An urban forest, of sunut trees, was destroyed in its development. As someone wryly commented: “They have removed all the trees, built the neighbourhoods, and called them after the trees”. Al Sunut (Acacia Nilotica), Al Laoota (Acacia Nubica), Al Shajara (the Tree), etc. Al Sunut remains partially realised. Developments in other parts of the continent have also been compared to western metropoles or to space: La Cite du Fleuve, DRC (the new Manhattan), Ebene Cyber City in Mauritius (a spaceship), Kigali (shimmering space like qualities) and Konza Technololgy City, Kenya (silicon savannah)(http://www.upworthy.com/11-awe-inspiring-african-cities-that-are-changing-the-face-of-urban-living-in-the-future). The word “aspiration” is a key to understanding these realized or planned urban centres in Africa, as is “big capital” – often times complicit as it is a partnership between governments and big capital that leads to the development of these futuristic developments. Africa is a young continent, in terms of the average age of its inhabitants; it is also transforming due to the so-called fourth industrial revolution, a “digital land grab” is an expression I have overheard at the Summit. How have these realities influenced these aspirations? Context is important in this debate, as is identity. These aspirations to resemble the west or the gulf countries unfortunately are many times imitative, repetitive and unrelated to context, memory or history. The imagery that is used also implies a scale and interface with the public realm that is highly exclusive and exclusionary. It does not relate to the finer grain of existing urban fabric, and it also does not imply a relationship with the streets that encourages different levels of commercial activities (entry level opportunities being balance with larger commercial enterprises and anchor developments). The imagery in terms of architectural character, infrastructure, massing, materials and implied materiality is highly problematic and lacks sensitivity to climate and context. It demonstrates a lack of creativity and imagination. Yet, these same contexts have also developed a parallel skill of conceptualising low-cost solutions due to limited resources in both the private and public sectors. These smaller and more subtle interventions and successes are not as visible or compelling as the imagery linked with future visions of cities. They are many times small in scale but with immense catalytic and transformational potential. They are less captivating, sometimes invisible, yet vital for the survival of many. We need to develop an alternative approach to the built environment, where Africa becomes a pioneer and where innovations are found at the interface of various professions. It is an approach where higher-level strategies enable project level innovations and where project level innovations can inspire policy change and strategic decision making at a higher level. These principles will allow us to facilitate inclusive transformation through the promotion of policy, legal, finance and design models that achieve quality and participative form-giving and space-making, viable and affordable development strategies, to allow for access to opportunity, equity and diversity. The future African city has developed advanced tools and mechanisms to manage stability and change, the formal and the informal; it embraces complexity, the unexpected and the unknown.